This book, first published in 1961, is a careful analysis of this modern movement of thought, and especially of its leading German representative Martin Heidegger. 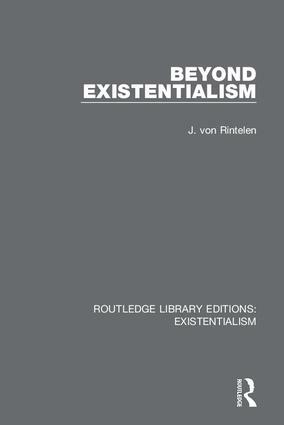 This study presents a sound reading and criticism of the existentialist thinkers. This set collects together a vital selection of works on Existentialism, including the key Introduction to the New Existentialism by Colin Wilson. Some of the titles were early works written as this new philosophy spread into the English language, while others are more recent examinations.